Posted on December 6, 2018 by amalinidesayrah in Awareness & Advocacy. Centre for Monitoring Election Violence (CMEV) initiated a voter education programme called ‘Provincial Council Elections Voter Education and Outreach Programme’ with the support of USAID-DAI (SDGAP). The main focus is to invoke awareness for women candidates who are willing to contest in the next provincial councils elections to be held island-wide. 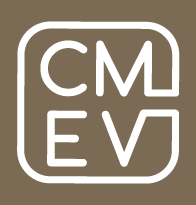 CMEV is planning to conduct a series of district-level awareness workshops inviting selected prospective candidates across the country. The thirteenth in this series of workshops was conducted in Jaffna District at the main auditorium of District Secretariat of Jaffna on 22nd October 2018. Over 100 women activists including women members of Local government were attended in this one-day awareness training representing both Jaffna and Kilinochchi districts. Prof. Rathnajeevan Hoole, Member of Election Commission of Sri Lanka, Dr. P. Saravanamuttu, Co-convener of CMEV, Mr. M.M. Mohamed, Additional Commissioner (Admin & Legal) of Election Commission and Mr. Manjula Gajanayake, National Coordinator of CMEV spoke at the event.